Well, after my post regarding Minty from recently, I was overwhelmed with thoughtful,concerned, and nice responses and decided a follow-up post was in order. When we dropped her off at the vet for an overnight visit, unfortunately she didn't make it through the night. After talking to the vet when we first got there and later in the evening on the phone, I just had the feeling it was coming. Goats have a very complicated(i.e. needs to be perfectly in balance) digestive systems and some unknown thing must have thrown hers off. After getting her tummy all emptied and her body all re-hydrated, it turned out her problems were neurological, one of the effects being she couldn't chew her food. The goats are the first time I've ever had my own pets (not family pet while living at home), which also means the first time I've lost my own pet.We were mostly concerned for Lola though...she's never been away from her twin her entire life! 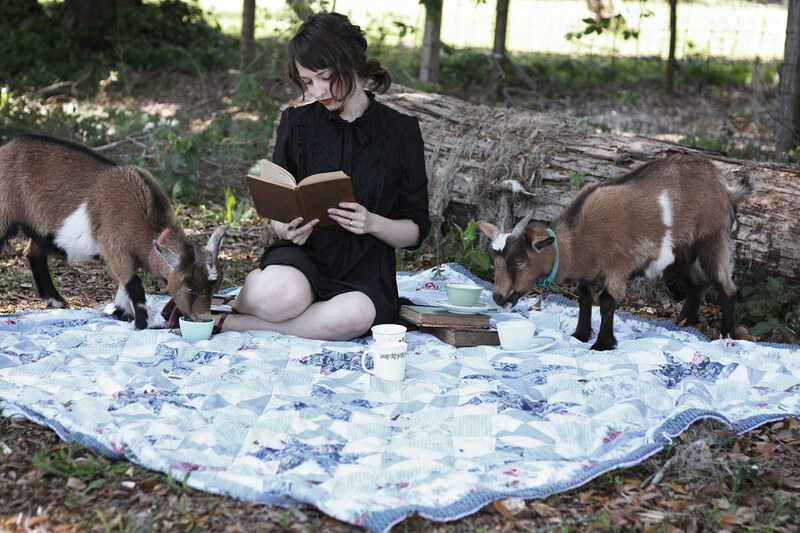 Goats are extremely social animals so we knew another goat was in order somewhere down the line. We knew we'd want to be home for awhile with whatever new friend we get, and with summer tours lurking around the corner we didn't have the luxury of waiting. We stumbled across an ad on craigslist one night and just called out of curiosity, the next day the goat was at our house. He's a year old ("he" used loosely here, two certain parts are missing if you know what i mean) and was all alone and needed a new home and a friend. The new goat made me extra sad at first and miss Minty more, even though I really like him and he is a perfect fit. He will get a proper introduction around here very soon! Ahh! look at how tiny and fluffy she is here! and yes, yes these last three pictures are legitimate band pictures that were used, this last one was used a lot actually! That post was so sad. I was listening to Muse while reading it so that made it worse. :( I'm so sorry for your loss. aw, i'm sorry ness. that's rough....she looked like such a sweetie! I am so sorry <33 Sending love your way. Awww.. what a beautiful creature. IMay she rest in peace. Oh dear, so sad. Poor Minty and poor you. Oh man. 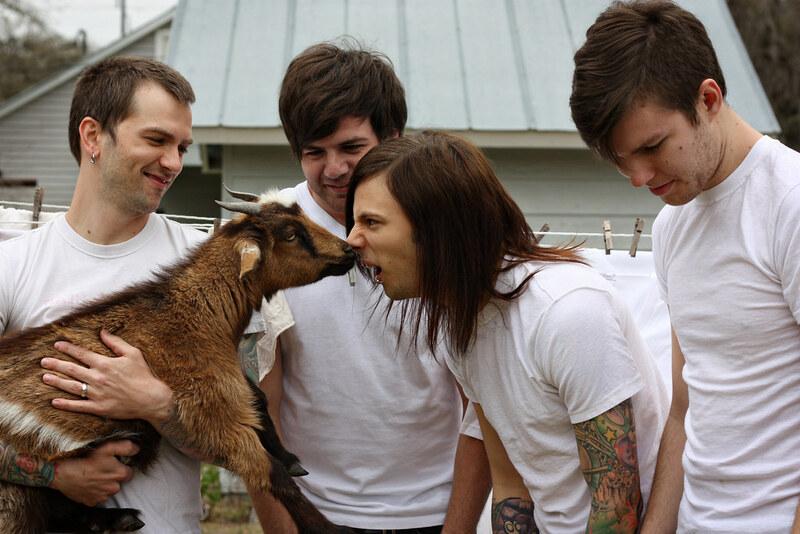 Goats are so affectionate, I could see why this was difficult for you! i cried and cried and cried when i read this. 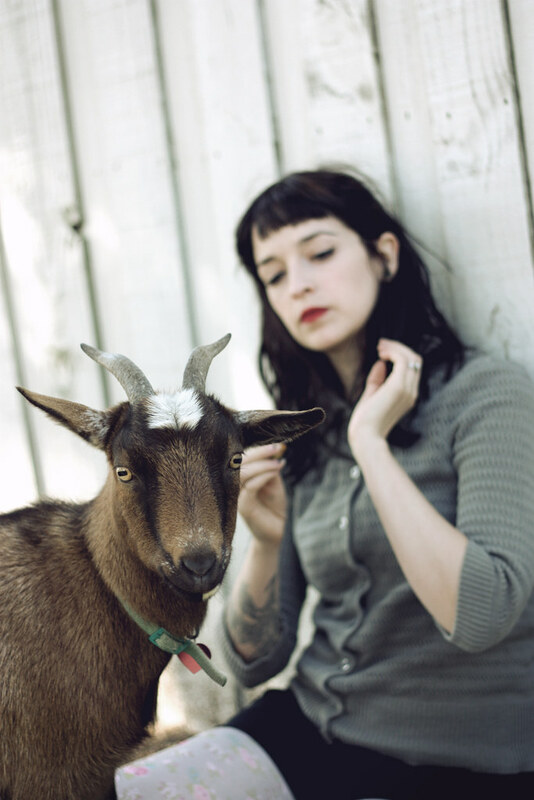 i love goats so much and used to have two of my own. i feel so sad for you and your other little goat. best wishes and i am thinking of you... even though i am just a lurker. xox. love deer donna. oh dear i'm so sorry about minty. she looks so darling and sweet. sending nice thoughts to you and lola and your new little boy goat. I'm surprised there weren't sheep photos. . since we are "lost sheep" in need of our Good Shepherd. 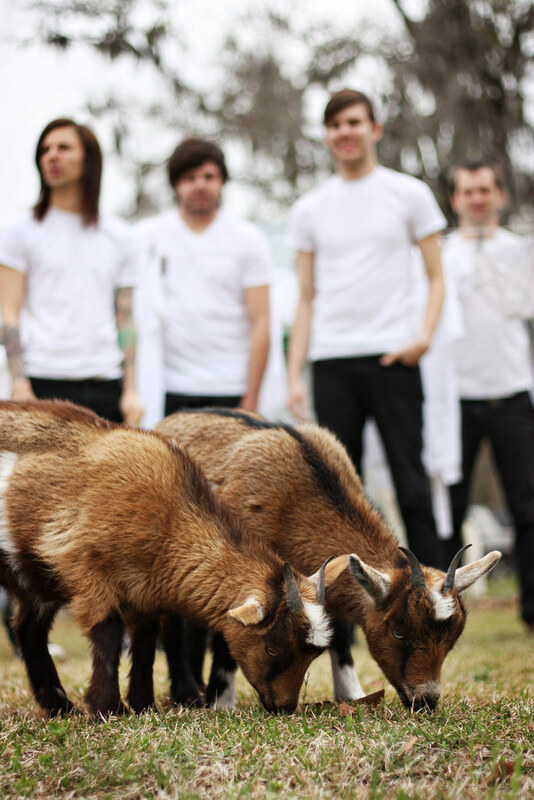 So did they actually get photos taken with the goats? 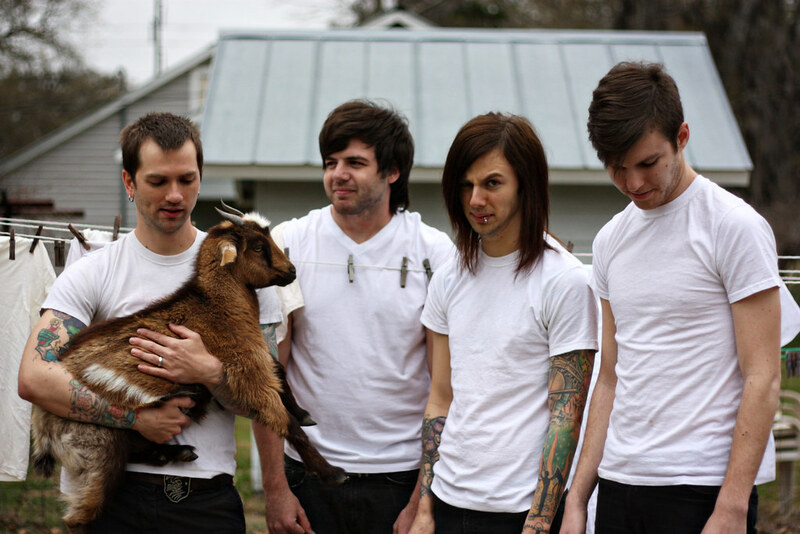 I want goats so badly. I need to move on a farm and get out of NJ.